Did you know bottled water can cause tooth decay? It’s not the water that causes the decay, but instead its the lack of fluoride in the water. What exactly does this mean? Fluoride is a natural mineral that helps prevent tooth decay. It mixes with your enamel, making teeth much stronger — especially for children as they grow. Once teeth are fully formed, fluoride will help the tooth become more resistant to decay. As more and more people are buying bottled water, fewer people are consuming enough fluoride to prevent cavities. In the U.S., the average person downs about 31.8 gallons of bottled water each year. Bottled water consumption is increasing globally, though it may be peaking in the U.S. Most bottled water does not contain fluoride, though some are bottled using the same water used by your municipal system. Aquafina and Dasani, for example, use the same water in the Triangle area of North Carolina that many of us drink — from Falls Lake. Here is a list of bottled water brands that contain fluoride. How can you get more fluoride? If you are not ingesting enough water that contains fluoride there are some ways that you can increase your intake. Make sure that the commercially prepared food and beverages you purchase are fluoride-fortified. Use fluoridated toothpaste or professionally-applied gels. 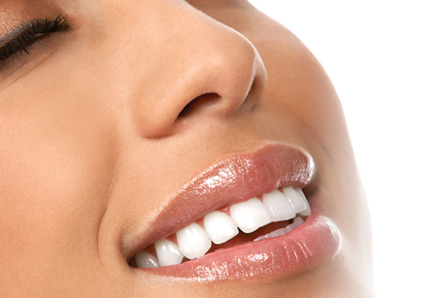 Such products can really help strengthen teeth by strengthening the outer enamel surface. Take dietary fluoride supplements such as tablets lozenges or drops. You can obtain these supplements by prescription. Speak to your dentist about a fluoride treatment. Although you may drink bottled water believing it is safer than tap water, that isn’t necessarily true. While bottled water plants are regulated by the FDA, they are not subject to the same level of strict scrutiny as our tap water systems. If you have questions about your fluoride intake, ask your dentist on your next visit to Dental Care Center.